Fantastic products and samples and excellent delivery as usual. Thank you! Excellent communication from pure beauty throughout. Delivery was prompt with no problems. Will definitely use this site again. Hi, Love to do business with you, easy website, quick service and good products. 10 out of 10! Hi I just wanted to let you know how impressed I am with the level of service, communication and speed of delivery. 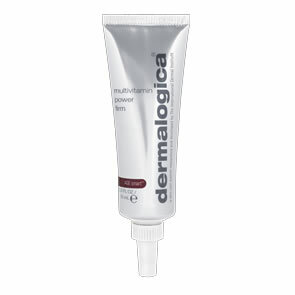 After using cheaper high street brands my skin has become very dry and red, so I decided to return to my old and trusted Dermalogica. Once I took delivery of my order I was quick to put my purchases into action, and I can honestly say with the first use my skin is looking calmer and feels much better. Thank you from me and my skin. I don't know how you do this - deliver my parcel in the morning after my order. My word, you and the Post Office have got this down to a fine art - well done! Hi, I couldnâ��t see where to write feedback on your website so hopefully you can add this to your testimonials. 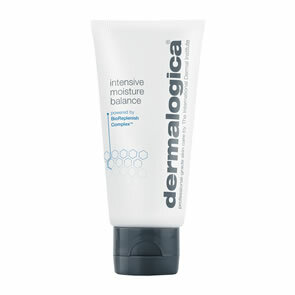 I just called Pure Beauty and spoke to Craig as I am a first time user of Dermalogica products. I was soooo impressed with Craig boy did he know his stuff! I will certainly be buying all my future products from Pure Beauty and will highly recommend. Thanks again for a great service. Just a note to say how efficient, accurate and refreshing Pure Beauty is as an on-line Company. I never have any problems when ordering on-line and the delivery time is fabulous. Thank you! As always excellent service, brilliant products (been using Dermalogica for 11 years) - and lovely free gifts as well. Thank you Pure Beauty. Thank you for my order received today, great service and thank you for the free gift and samples. Fabulous thanks so much arrived this morning - awesome service as always thanks greatly appreciated :) Have super day. Thank you so much for the excellent service you have provided ordering, dispatching and delivering my product this week! Brilliant service! Hi all at pure beauty, My order came this morning so I thought I'd drop you a line to say thanks. It came really quickly and was perfectly packed. I've been using Dermalogica for nearly 20 years and have always bought from a shop so it was wonderful to find it cheaper with free delivery with yourselves. Also thanks for the samples that you sent they are appreciated. So again thanks and I will most certainly be ordering from you again. Just to say a huge "Thank you" for your very efficient service. Very fast delivery and also the fact that I asked in an accompanying note with my order that, if possible, I could have samples for dry skins/masks. You were kind enough to enclose samples exactly as I had requested. So grateful and as previously mentioned, very impressed by efficiency. Many thanks.